My thanks to the Merrimack Valley Chamber of Commerce for inviting me to speak at this morning’s breakfast forum. 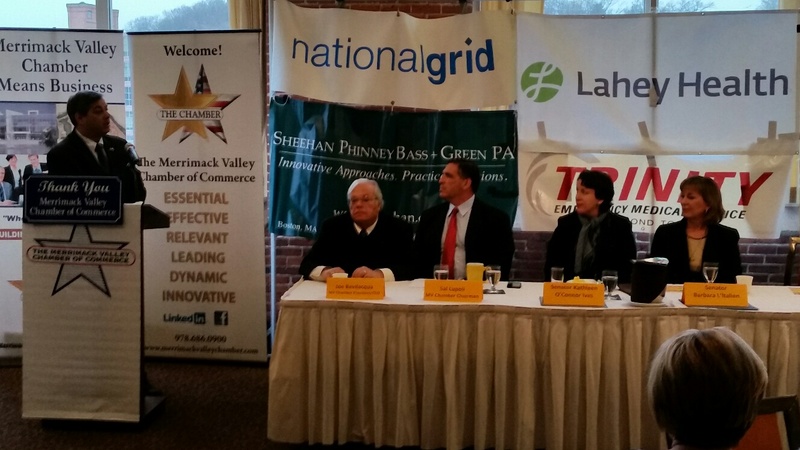 The Chambers’ Government Affairs Committee organized the annual event, The Massachusetts Economy: A Report From The Massachusetts State Senate, which included presentations from my colleagues Senator Kathleen A. O’Connor Ives and Senator Barbara L’Italien. 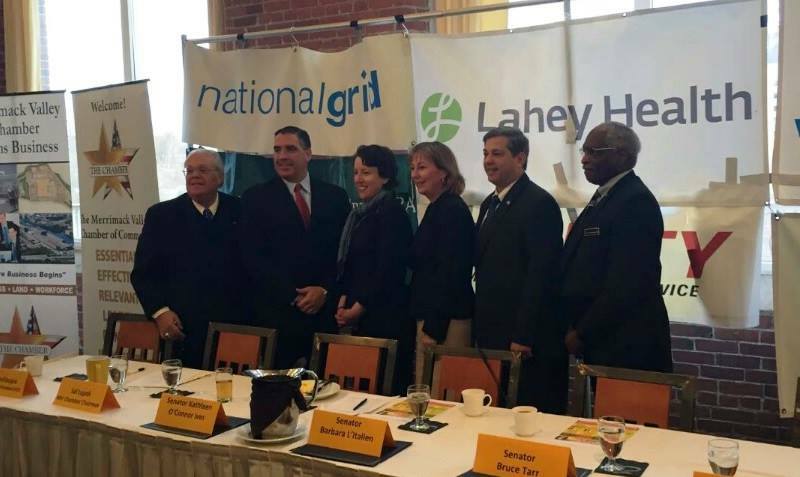 The MVCC has members from more than a thousand businesses in Massachusetts and Southern New Hampshire. 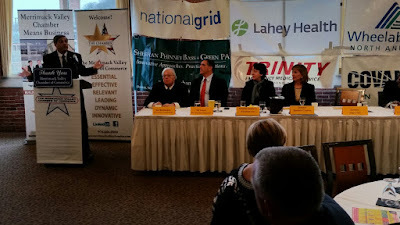 Several of the members that I spoke with told me that they support state policies that can invigorate our economy. During my remarks I focused on areas of critical importance; the need for a bi-partisan comprehensive energy plan; securing greater health care cost containment through enhanced cost transparency; reforming our independent contractor laws; and reforming the MBTA. This week marked the one year anniversary of my having filed the Fiscal and Management Control Board legislation to restore stability and move away from the mismanagement that has plagued the MBTA for years. 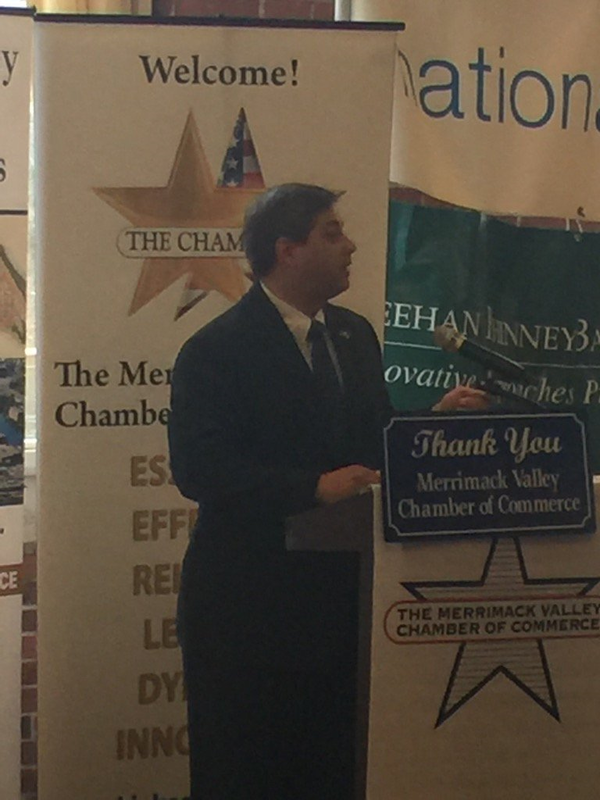 I encourage those who care about our region, our economy and our wellbeing to connect with the Merrimack Valley Chamber of Commerce for other upcoming events.